If Fundamentalists Hate So Many People, Why Do They Love Artists? Why does the leading fundamentalist university in America also have one of its best private art collections? Not just a collection of Jack Chick cartoons, either, but a diverse collection of religious art from the greatest of European old masters? One writer recently called this bewildering. The answer lies in the misunderstood nature of fundamentalism itself. This is NOT what fundamentalist art looks like at Bob Jones University. I thought the art gallery would be perhaps a small and preachy collection of kitsch Evangelical art: pictures of the rapture taking place, memorabilia of the Jones family or stilted illustrations of Bible stories. I was wrong. The Bob Jones gallery houses an astounding array of old master paintings, icons, antiques, sculpture and Biblical antiquities. And Longenecker asks the right questions: How can a school famed for its rigid fundamentalism host such an eclectic display of non-fundamentalist art? How can Bob Jones Jr. denounce Jerry Falwell as “the most dangerous man in America” in 1980 due to his willingness to work with conservative Catholics, yet splurge on a collection of Catholic and Russian Orthodox art treasures? One question Longenecker doesn’t ask is also vital: How can a university pay faculty and staff much less than going salary rates, while its leader travels across Europe, purchasing world-class art for a private gallery? The answer lies in the history of fundamentalist higher education itself. As I’m exploring in my new book, beginning in the 1920s, fundamentalist colleges struggled to figure out how to remain fundamentalist. After all, too many religious colleges had slidden into liberalism and eventually into secularism. 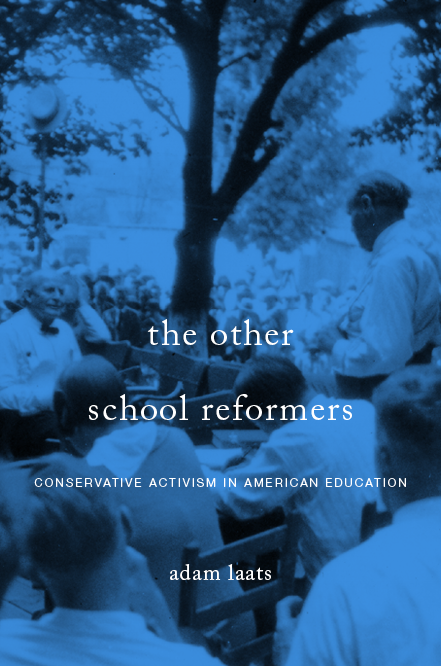 Harvard, University of Chicago, Duke…too many leading schools had begun with conservative religious intentions, only to drift into worldly liberalism and pluralism. Different schools worked out different solutions. One leading college, Wheaton College in Illinois, eventually settled into a pattern. The board of trustees kept careful watch on the goings-on among students and faculty. But the wider fundamentalist world, too, constantly questioned Wheaton’s leaders about on-campus events and tendencies. Conservative evangelicals around the country felt a right and a responsibility to keep Wheaton safely orthodox. a group of persons was discussing Wheaton College. Some said that your school now teaches ‘theistic evolution’ and has departed from the fundamentals of the Bible. Is this true? Would you please investigate your curriculum? Also—statements made were that [sic] the school allows ‘worldly practices’—movies, smoking, etc. Please reply. Thank you. In practice, this expected loyalty to the school became an expected loyalty to the school’s leader. The Bob Joneses—Senior, Junior, then III—embodied the meanings of “fundamentalism” at the school. As outsiders have struggled to understand, this development allowed Bob Jones College to be more liberal in some matters, while still maintaining its status as a ferociously fundamentalist school. For example, at the far less conservative Wheaton College, students were not allowed to put on plays until the 1960s. The worry of the broad fundamentalist community was that “worldly” drama might tarnish students’ religion. But throughout its existence, Bob Jones University has encouraged students to dive into drama, especially the not-particularly-Christian work of Shakespeare. This may seem like a paradox, a mystery, but it is explained by the principle of loyalty at BJU. At BJU, the entire fundamentalist community did not debate whether or not Shakespeare was acceptable for fundamentalists. The leaders decided. She walked around and said, ‘You know, I’m so concerned. They have drama at Bob Jones College, and I think we should have a prayer meeting.’ . . . that’s her privilege. You don’t have to love Shakespeare. . . . But she knew Bob Jones College loved Bill Shakespeare. For many observers, this is the constant paradox of Bob Jones University. As Dwight Longenecker reports from his visit to the art gallery, the school combines an indefatigable insistence on rigid fundamentalism with an embrace of non-fundamentalist art that might shock even moderate evangelicals. From the worldly Shakespeare to the Catholic Old Masters, Bob Jones University has the ability to be less conservative about some things than more moderate schools. Dwight Longenecker attributes this seeming paradox to the “eccentric and unique flair” of Bob Jones Jr., president of the school between 1947 and 1971. There’s truth to that, but only part of the explanation. At Bob Jones University, the loyalty/leadership principle allowed Bob Jones Jr. to indulge his taste for non-fundamentalist art and drama in ways that less conservative fundamentalist institutions could never have allowed. This history matters for more than just the campus surprise of BJU’s beautiful art museum. The influence of BJU among fundamentalists is hard to overstate. Due to its extensive network of influential alumni and its powerful school-publishing arm, the meanings of “fundamentalism” at Bob Jones University can influence the meanings of fundamentalism nationwide. And with so much of that meaning determined by the school’s leaders, the personality and taste of a leader such as Bob Jones Jr. can have an enormously outsized influence on fundamentalism in general. Much has been written about BJU’s negotiation between integration and separation. One small point, Wheaten was not “far less conservative” than BJU in the 40s and 50s. Students who attended both campuses (and are still living) can attest to that. Wheaton was more pietistic and more devoted to Moody-like Keswick values while BJU was more devoted to Southern ideals. This, too, has been well-documented. I wish you well on your new book release. Thanks for the comment. I agree that it is clumsy to talk about “more” or “less” conservative when it comes to institutions like this. But I do think it’s fair to say that Wheaton has a reputation–and had it as early as the 1930s–as the more “moderate” fundamentalist school. More important, for any readers like galacticexplorer who want to read more about Bob Jones University, Dr. Lewis runs a terrific blog you should check out. She has great material about the history of the school and an insider’s perspective on how the school works these days. Most intriguing, she includes full-text statements from Theodore Mercer, a leading BJU administrator who left as part of a scandal and mass-resignation in 1953. Dr. Lewis, (sorry to ask here, but I couldn’t find an email address on your blog) where did you get your copies of his statements? I’ve looked for them in the Wheaton/Billy Graham Center archives and I couldn’t find them. I’m really looking forward to this book. I’m fascinated by BJU because of the influence it had on ACE. “No griping” is a common rule at ACE schools (I suspect, though haven’t been able to confirm, that it appeared in earlier ACE Procedures Manuals). I’ve seen so many things in ACE that are lifted directly from BJU policies, and I suspect this must be another instance.